Under Construction. This charming home is Energy Star Qualified and offers low E windows. Once inside, youll immediately notice the beautiful tile flooring throughout all common areas and wet areas along with volume ceilings that expand over the great room. The split bedroom floor plan provides a private master retreat at the rear of the home, with the secondary bedrooms located at the front. The master suite includes a walk-in closet and private bath with an enlarged walk-in shower and an extended vanity with dual sinks. 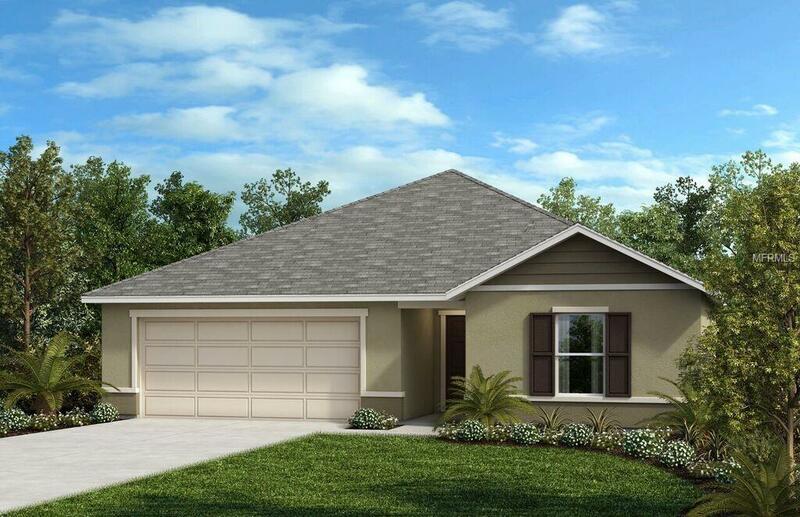 This home also includes a covered patio, which is the perfect spot to wind down and enjoy Floridas warm nights.